Fundació ACE – Barcelona Alzheimer Treatment & Research Center, an entity devoted to the diagnosis, treatment, research and awareness on Alzheimer’s disease, has been incorporated into EPAD (European Prevention of Alzheimer’s Dementia Consortium), a European consortium aiming to work for the prevention of Alzheimer’s dementia through an interdisciplinary research program. Facing the evidence that Alzheimer’s disease causes brain alterations prior to the onset of symptoms, this project focuses on the early phases of the disease to develop actions that help to prevent and treat this type of dementia. In recent years, research has increasingly focused on this presymptomatic phase in order to offer new preventive treatments and to intervene more effectively. EPAD is the largest public-private consortium in the field of Alzheimer’s research thanks to the participation of multiple collaborating organisations and more than 1,500 registered participants to date. 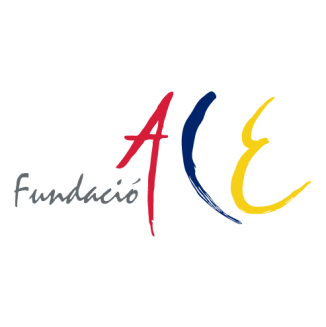 Fundació ACE becomes a new member of the group and one of the three representatives of Spain, together with the Pasqual Maragall Foundation research center, the Barcelonaβeta Brain Research Center, and the Alzheimer’s CITA Foundation. Dr. Mercè Boada, medical director of Fundació ACE, attended, last February in Berlin a follow-up meeting of the project along with other experts from the organisation such as Dr. Agustín Ruiz, research director, Dr. Carla Abdelnour, attached to the Clinical Trials Unit, and Mar Buendia, clinical trials coordinator. Dr. Boada expressed satisfaction with the recent incorporation of the Foundation to the project. “In recent years, at Fundació ACE we focused on the early detection of Alzheimer’s and we devoted many efforts in this direction. It is not an easy task; It is a challenge in which we keep on putting efforts day by day. This is why, we are convinced that it will be very positive to be part of a project that pools the knowledge of so many entities and experts and unites efforts in the prevention and treatment of dementia” she comments. 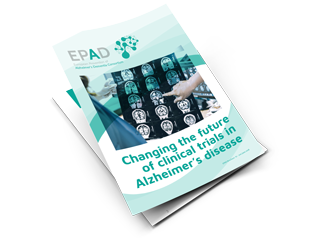 In order to carry out its work, EPAD faces several challenges, such as the difficulty of identifying people who may end up developing Alzheimer’s, the lack of understanding of the earliest stages of the illness or the lack of flexibility in the clinical trials development. The Register: EPAD will create the first single, pan-European register of over half a million people across the risk spectrum for dementia. 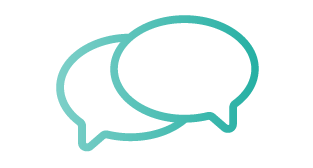 The Cohort: From this register, research participants are invited to join an EPAD cohort of at-risk subjects. At present, more than 1,500 participants from centres throughout Europe with standardized tests are being part of this cohort and are followed for several years. The Trial: EPAD will select suitable participants to take part in adaptive trials of drugs designed to prevent Alzheimer’s dementia. In fact, EPAD is a pioneering platform in the implementation of this method. In traditional clinical trials, half of the participants receive the drug under investigation, and half receive a placebo. In adaptive clinical trials, several candidate drugs are simultaneously compared to each other and to a placebo, meaning that a greater proportion of patients benefit from a potentially active treatment. As a result, a greater proportion of people benefit from a potentially active treatment to reduce the risk of developing dementia in the future. Furthermore, researchers can adapt the trial design in response to emerging results, new candidate drugs can be added, and those that prove ineffective can be dropped. With better data and better decision making, the adaptive tests can increase the likelihood of success and decrease the duration of the development. EPAD started in 2015 and is made up of research centers, universities, pharmaceutical laboratories and associations of patients from all over Europe. The consortium is funded with the subsidy number 115736 of the Innovative Medicines Initiative, which is a joint initiative of the European Commission research and innovation program Horizon 2020 and the European Federation of Pharmaceutical Industries and Associations (EFPIA). Fundació ACE – Barcelona Alzheimer Treatment & Research Center, an innovative and reference entity in Spain, was created in 1995 with the aim of addressing the growing demand in the diagnosis and treatment of people with cognitive impairment and dementia, especially Alzheimer’s, offering personalized attention and comprehensive accompaniment to patients and their families. Fundació ACE is considered one of the international benchmarks in research, especially clinical, social, neuropsychological and basic research. Every year more than 7,000 people go through their Diagnostic Unit. 4,000 of those have dementia (3,000 of them, Alzheimer’s type). Among other research activities, Fundació ACE participates in numerous clinical trials involving worldwide participation in all the phases of the disease. Its team is currently leading two research projects funded by the European Union on Alzheimer’s Genetics (ADAPTED) and on models of patient engagement (MOPEAD). Check out the Spanish press release here.